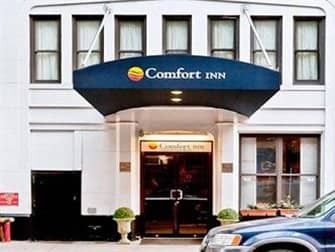 Rodeway Inn in New York is a hotel located in the Upper West Side. 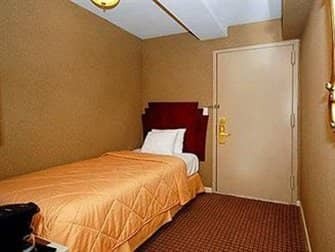 It is a basic hotel that is great for people who do not want to stay in Midtown but who want to be close to a lot of attractions. 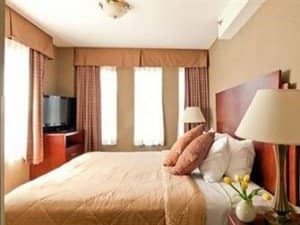 The Rodeway Inn is a two star hotel away from the busy Midtown but close to the beautiful Central Park. Though the Rodeway Inn has two stars, this does not mean that the hotel is luxurious. The old-fashioned rooms are very small as are the bathrooms. On top of that, the building has noisy pipes which you might be able to hear in your room. Do ask the staff if they can fix the problem or move you to another room as they are usually more than happy to help you out. Breakfast is included with the price of the hotel but it is far from recommended. Though the selection of foods for breakfast is good, the dining room is far too small to accommodate many guests. If you want to have breakfast, be as early as possible (07:00) or take it back to your room. In the room you can make use of the coffee/tea maker and the free Wi-Fi. All of the rooms have a flat screen TV and a safe. If you plan to be in and out of your hotel a lot, then a room on one of the lower floors is recommended. There is one very slow lift which is very often occupied. 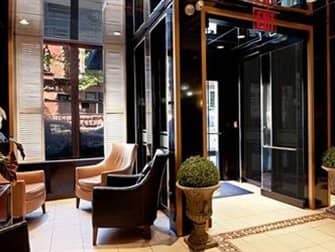 The Rodeway Inn is within walking distance of many great New York attractions: Central Park, Lincoln Center, Columbus Circle, the American Museum of Natural History and the other museums on Museum Mile. 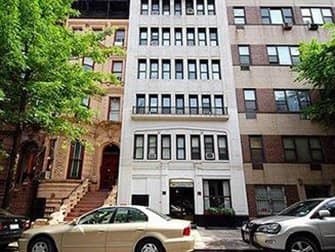 But don’t forget that there is also a lot to explore in the Upper West Side! The 72nd subway station is located a block away and there you can take subway lines A, C, E Downtown. Eric’s Tip: If I am being honest, there are better hotels that you could find for the same price. The hotel wasn’t horrible, but it wasn’t what I had expected. I would suggest staying at another hotel such as the Pennsylvania Hotel for the same amount of money.